One night only: The entertainment extravaganza of the year! 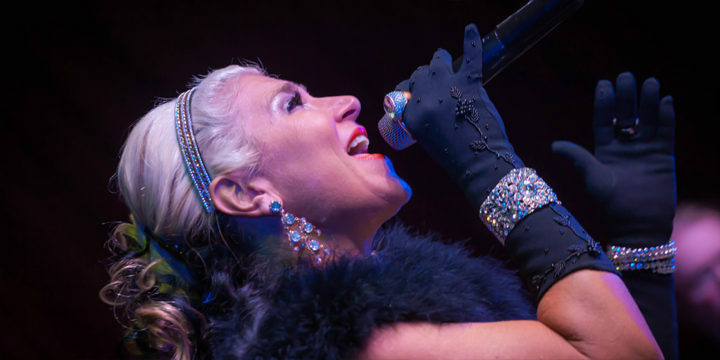 A hot and spicy blend of music and dance featuring the lovely Ms. Lisa Saunders… coming to the Pagosa Springs Center for the Arts on Friday, September 29. The show will feature a 12 member orchestra under the direction of Durango’s Jared Wright, along with Stillwater Music’s “Batucada De Durango” Samba band who will be performing a variety of Latin fusion inspired songs. With a bold vision to create an over the top Musical Showcase, Lisa teamed up with award winning Director-Choreographer Ali Whitman, and Pagosa’s ever so popular SE School of Movement & Durango Dance Academy. Also called upon for this show is the amazing Fashion & Costume Designer, Adrienne Young, who brings to life her beautiful and creative visions of costuming to the stage. The evening performance will be packed with colorful and flamboyant choreographed numbers featuring, Samba & Salsa Dancers, Show Girls, Aerial Silks and other surprises! Visually and musically — a night of epic entertainment. The concert will take place at the Pagosa Springs Center for the Arts on Friday, September 29 at 7:00pm. Tickets are $35 and can be purchased online or directly from the Pagosa Springs Center for the Arts, 970-731-7469. There will also be limited VIP seating packages available. A portion of the proceeds will be donated to benefit Archuleta County senior citizens and programs, via the Pagosa Senior Center. Contact Kaitlen Smith at 970-903-3129 for more information. Join us for a magical night of extraordinary entertainment!